What languages might go extinct in the future, and how can we expect the surviving ones to change? Linguist John McWhorter is here to answer our questions. 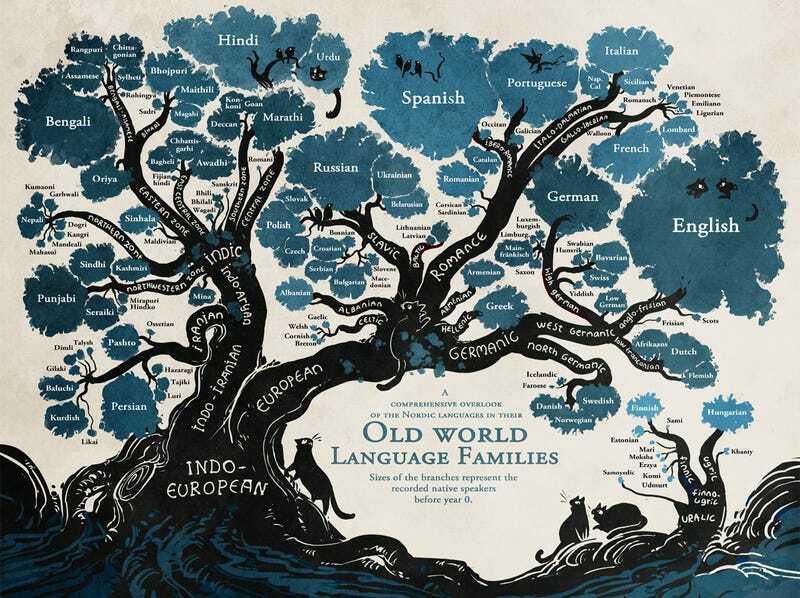 Top Image: Language Tree by Minna Sundberg / SSSScomic. McWhorter teaches linguistics, American Studies, philosophy and music at Columbia University. He has a PhD in linguistics from Stanford University and is the author of a number of books on languages and their formation. He frequently writes for Timeand other outlets, including this recent essay on what the next century might hold for existing languages in the Wall Street Journal. What languages will still be around in 100 years? He'll be joining us from 11:00 a.m. - noon (Pacific time), so start asking your questions about dead or thriving languages and what we might expect our linguistic future to look like in the comments now.